"I believe more in the scissors than I do in the pencil," Truman Capote once said. In other words, what we cut out of our writing is sometimes more important than what we put in. So let's continue to cut the clutter. How do we stop wasting words and get to the point? 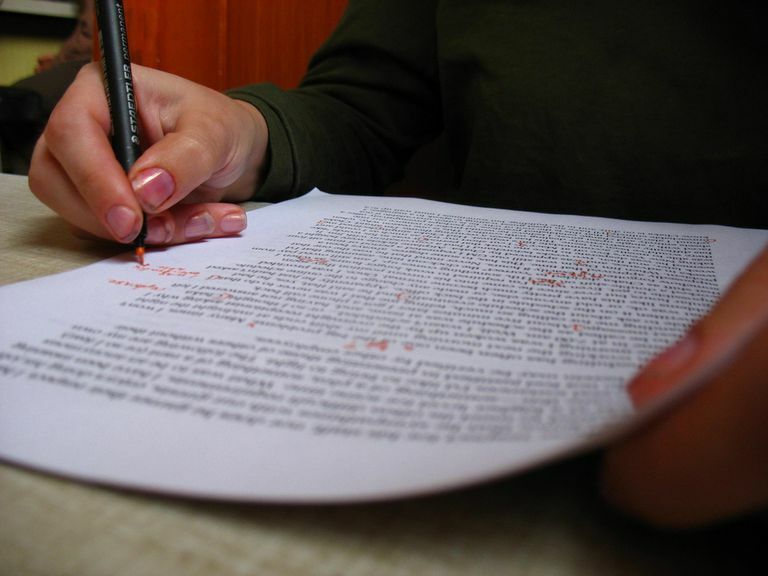 Here are five more strategies to apply when revising and editing essays, memos, and reports. Whenever possible, make the subject of a sentence do something. Wordy: The grant proposals were reviewed by the students. Revised: The students reviewed the grant proposals. As Leonardo da Vinci observed, "Simplicity is the ultimate sophistication." Don't presume that big words or lengthy phrases will impress your readers: often the simplest word is the best. Wordy: At this moment in time, students who are matriculating through high school should be empowered to participate in the voting process. Revised: High school students should have the right to vote. Wordy: All things being equal, what I am trying to say is that in my opinion all students should, in the final analysis, have the right to vote for all intents and purposes. Revised: Students should have the right to vote. The fancy name for this process is "excessive nominalization." Our advice is simple: give verbs a chance. Wordy: The presentation of the arguments by the students was convincing. Revised: The students presented their arguments convincingly. Or . . . Replace vague nouns (such as area, aspect, case, factor, manner, situation, something, thing, type, and way) with more specific words—or eliminate them altogether. Wordy: After reading several things in the area of psychology-type subjects, I decided to put myself in a situation where I might change my major. Revised: After reading several psychology books, I decided to change my major.